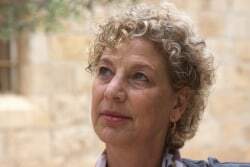 Iris Goren is a faculty member at the Jerusalem Academy of Music and Dance. Based on her vast knowledge and experience as a teacher for dance and movement, and as a choreographer and director, she has developed a unique method: Bodywork for Musicians. This method helps to reduce tension, strengthen the relevant muscles and stabilize posture when playing an instrument. With every group, she works differently, in order to meet the specific needs of each musician. This is the fourth time Ms Goren is at the Zeist Music Days Festival. Ms Goren works in groups, but you can also make an appointment with her for an individual training session. She will have thirty minutes to work with you.